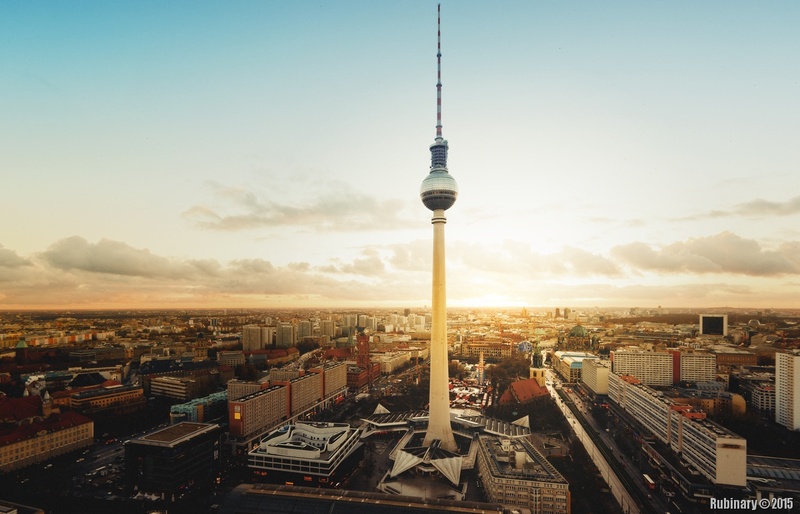 Berliner Fernsehturm or Berlin TV Tower is the most prominent landmark of Berlin. The soviet-built tower rises to the height of 368 meters and is the tallest structure in Germany. It features a rotating circular restaurant in the sphere where we almost had our anniversary dinner. One of my big objectives for Berlin was to take a cityscape photograph which would feature the tower. Research before the trip led me to Park Inn which is one of the few tall buildings in Berlin that has an open-air observation deck. That’s where this photograph is taken from. Too bad I didn’t bring a tripod. Berlin, Germany. November 23, 2014.